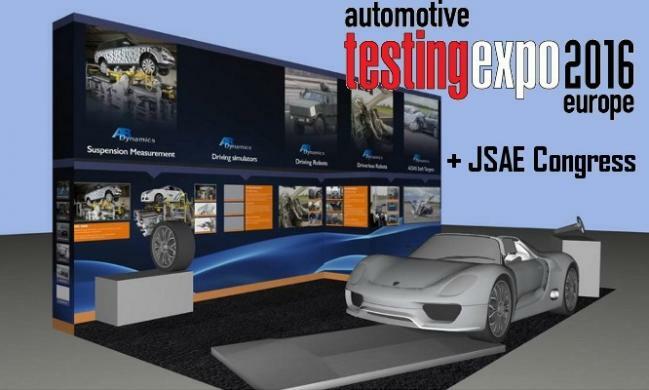 AB Dynamics will again be exhibiting at two major trade shows in the coming weeks - the TestingExpo Europe exhibition in Stuttgart and the JSAE Congress in Yokohama. In Stuttgart we'll have a Guided Soft Target (GST) on the stand, shown in mid-collision with a Porsche, as well as new products from the driving robot range. Come and see us on stand 1346. There will also be a GST chassis on display at the JSAE exhibition, together with our unique Torus steering robot. We'd be pleased to meet with you on stand 151.